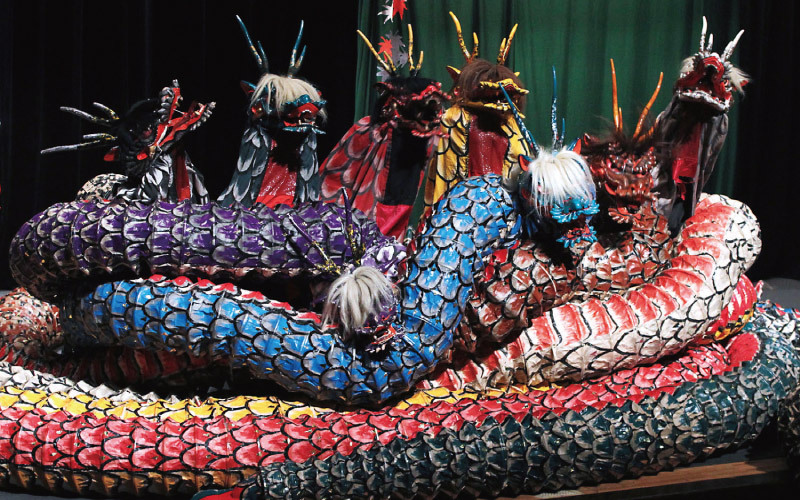 Kagura is a ceremony that conveys a feeling of gratitude for the bounty of nature. The ancestors of the Japanese people believed that everything that happened in the world was because of the gods. Therefore, in fall, harvested crops were offered in a holy place, preparations for festivals were completed, and the ceremony conveying gratitude to the gods came to be called “Kagura”. So, at the same time that Shinto Shrines were built around the country, Kagura spread as well, was continued by the Shinto priesthood and the local people, and has been preserved and passed on as a present day Japanese folk art in various places and forms. 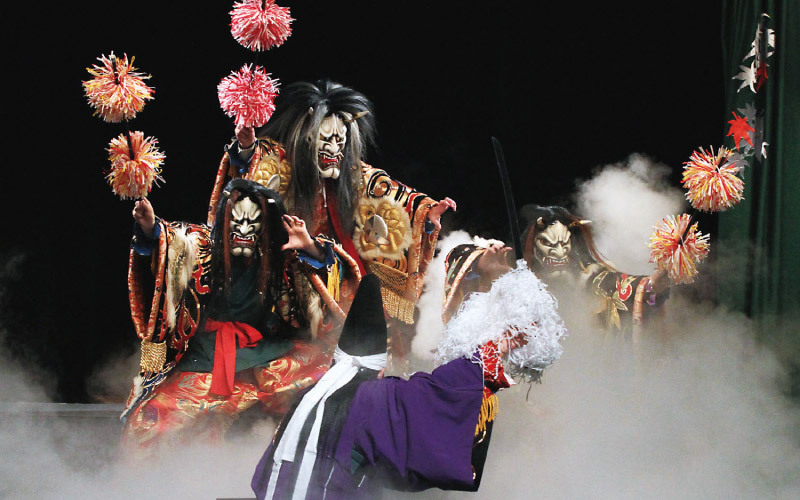 The Kagura you will see today is called “Geihoku Kagura”(Northern Hiroshima) and has been preserved and passed along in Hiroshima Prefecture through approximately 150 groups. Furthermore, numerous competitions have been held and at present, it is the type of Kagura gathering the most attention. Though the performers have to study and work, they attend practice two to three times a week and perform at festivals and events on the weekends.